What a coincidence that my boss, Sasha, looks super cute on Boss's Day! Yet another holiday that I found out about through social media, haha. I wanted to feature her outfit because I love the classy professional look with the pop of mint color! What's your favorite part of her outfit? 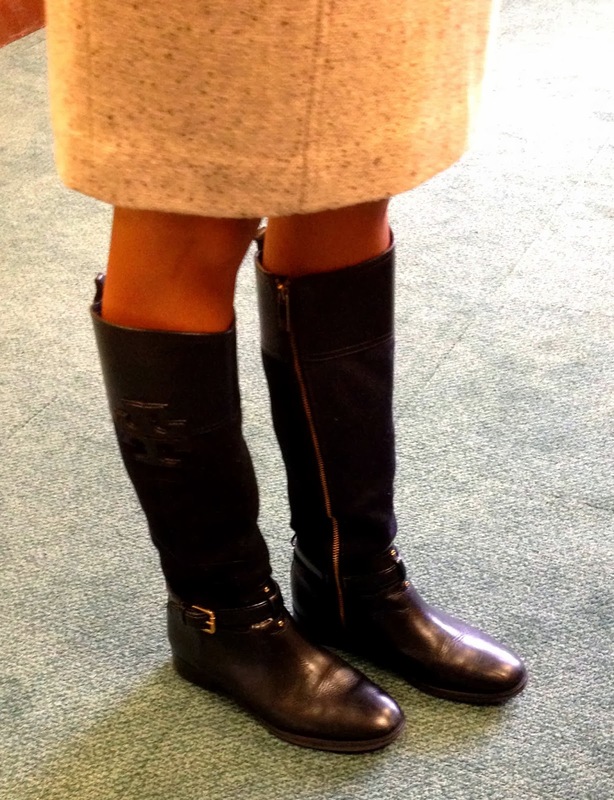 I love the boots too! Super cute outfit! I've been wanting something leopard for the Fall! She looks like an awesome boss and has great style. Ultimate compliment to feature her on your blog. Love that skirt! She has a great sense of style. My favorite part is the top. A little leopard print at the office is always a good thing! I really like her shirt and I love her boots! The whole outfit is really great, but I especially love her skirt. 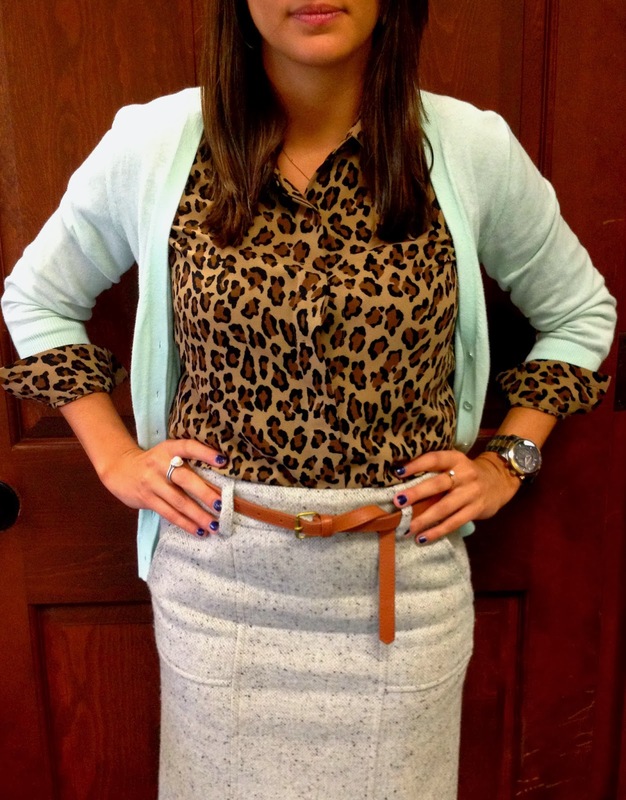 Oh I love the mint paired with leopard! I will have to try this! 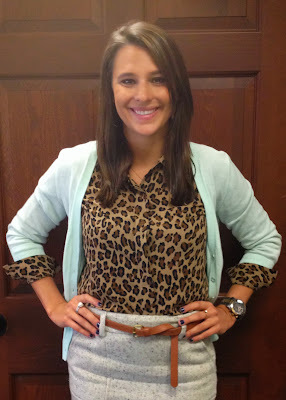 Loving the leopard with the mint! your boss is so pretty and look fabulous in that outfit! Cute look! Love those boots! Animal prints are always fab!